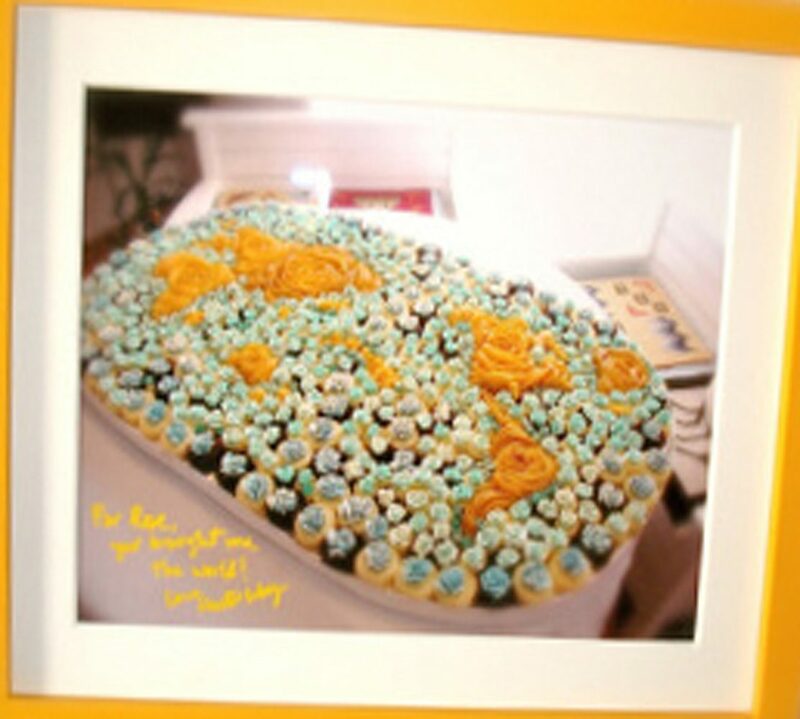 ROSE’S heavenly CAKES: The Bostini (page 351) is an orange chiffon cupcake sitting on vanilla pastry cream sauce and topped with chocolate butter glaze. hector’s take uses coconut instead of orange. replace the orange juice with fresh coconut water. replace the orange zest (by weight) with finely shredded dry coconut flakes. 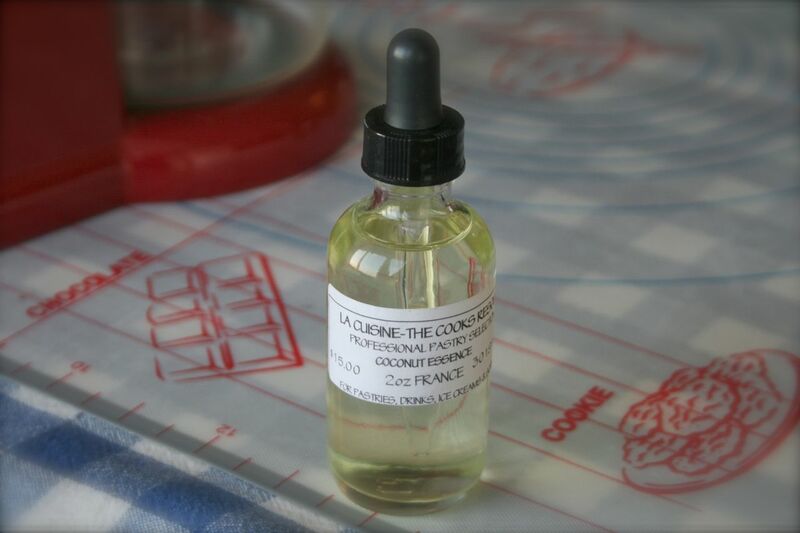 add 8 drops of la cuisine french coconut arome. soak the dry coconut in the coconut water overnight. i receive a lot of questions regarding which one is better: the 5 qt kitchenaid artisan mixer vs the 6 qt kitchenaid pro mixer vs getting a second set of mixer bowls and attachments. my answer is, get the two mixers instead of a second set of mixer bowls. for nearly the price you pay for a second set of bowls and attachments, you could get a second mixer. 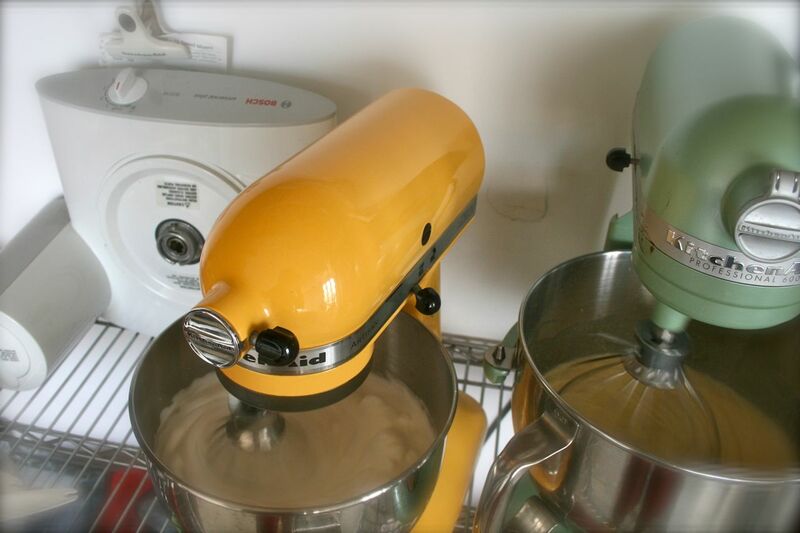 you can run two mixers, which is specially handy when whipping chiffon cakes or other cakes where egg whites and egg yolks are whipped separately. running two mixers is also very convenient when powering different attachemnts, such as the pasta roller and the pasta cutter, at once. also, i love using the 5 qt for smaller batches or for quieter moments and the 6 qt for larger batches. for larger volumes, specially when mixing bread dough of fondant, i prefer my 7 qt bosch universal kitchen machine. 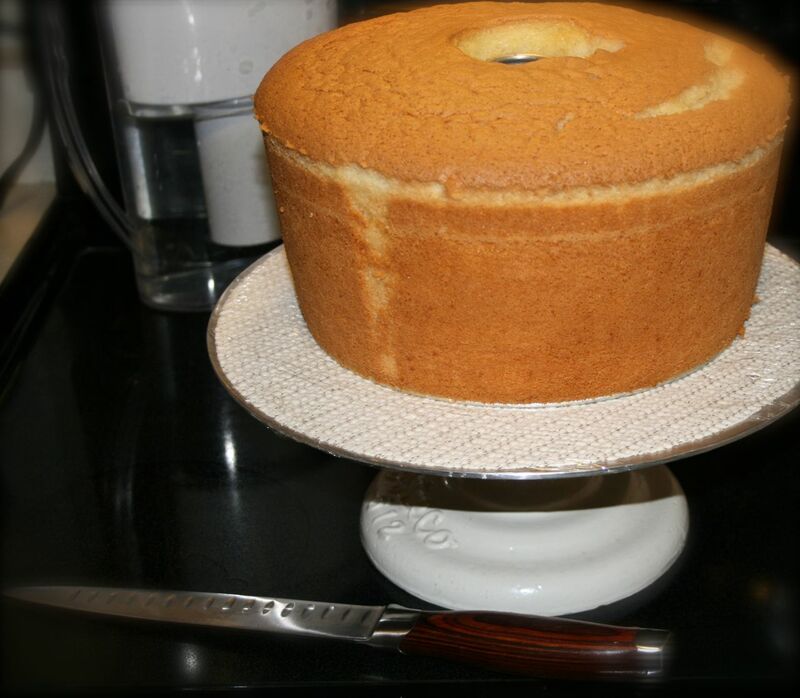 i doubled the bostini chiffon recipe and used a standard 10-inch 2-piece 16-cup angel food tube pan. then i cut “bostini” cakelets with a cookie cutter. be sure to cool your chiffon upside down on a bottle. and be sure you find a bottle that fits because hot chiffon MUST be inverted to cool at once. my preferred bottle is a large bottle of san pellegrino water, glass bottle version. 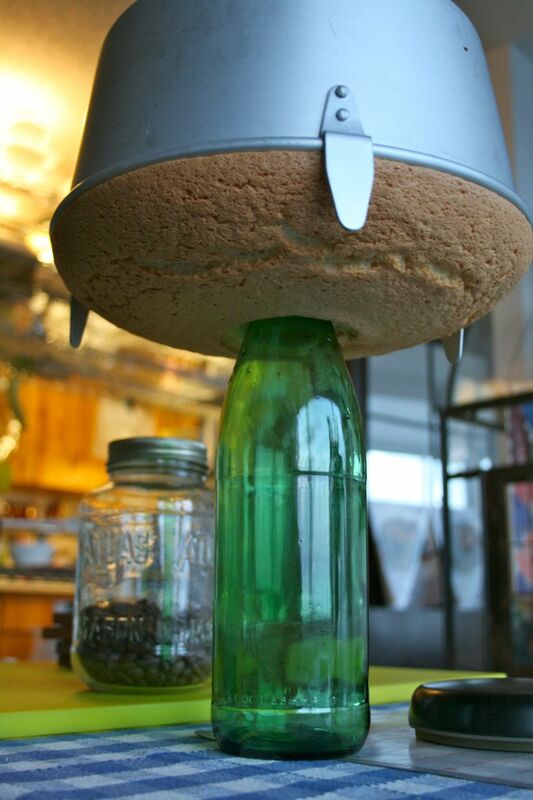 be sure to remove the bottle cap, otherwise it will get stuck to the center cake and crack the delicate center cake! don’t frown because you think i am exaggerating. 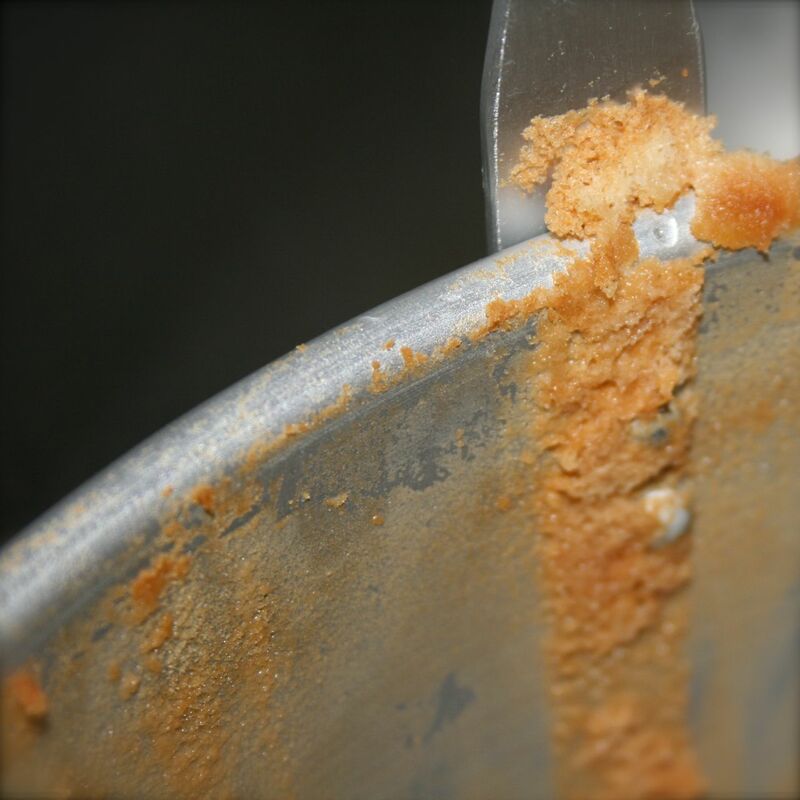 the scrapes you see are because of two reasons: (1) the top rim scrape is because the cake baked slightly overflowing the cake pan, (2) the vertical scrape is because my cake pan has grommets reinforcements to attach the completely useless cooling pegs. 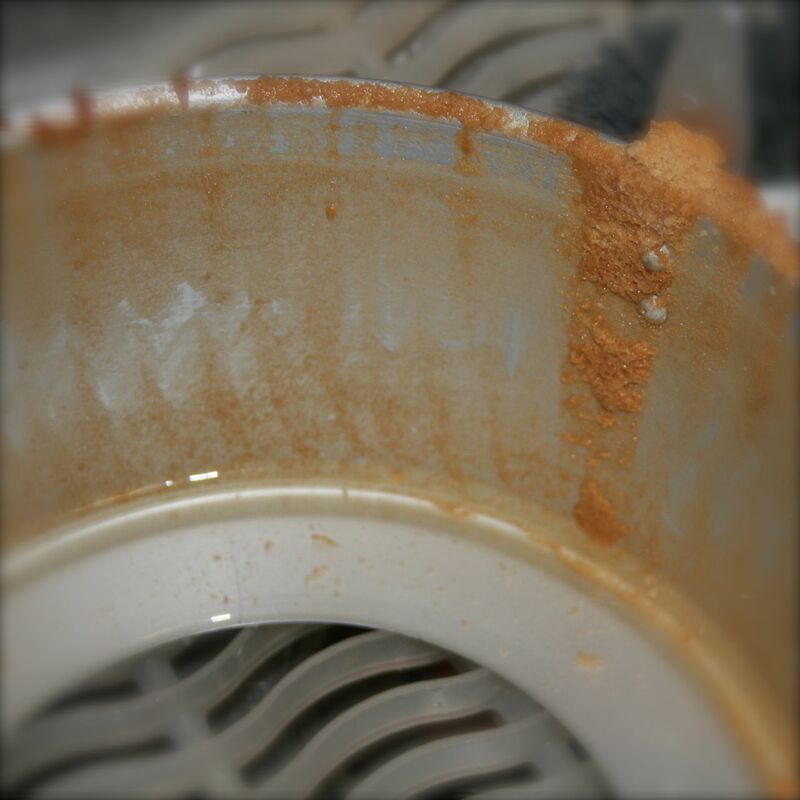 the easy solution is to underfill the cake pan a little, and to find a cake pan without cooling pegs. Wow good job getting the chiffon out of the pan, mine usually looks like its been torn! 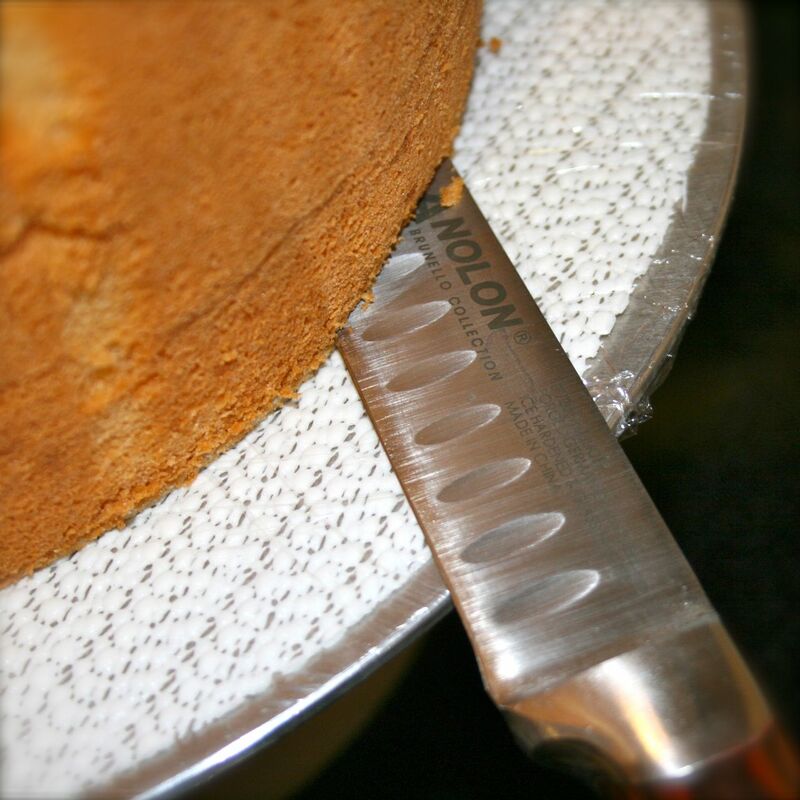 I love coconut cake, could you use coconut oil in place of the oil in the chiffon cake or is it too hard? but, I’ve read somewhere that for chiffon, the “oil” needs to be sililca? free so the foaming of the egg whites isn’t compromised? Interesting, so does coconut oil have silica in it? I couldn’t find any info on it . 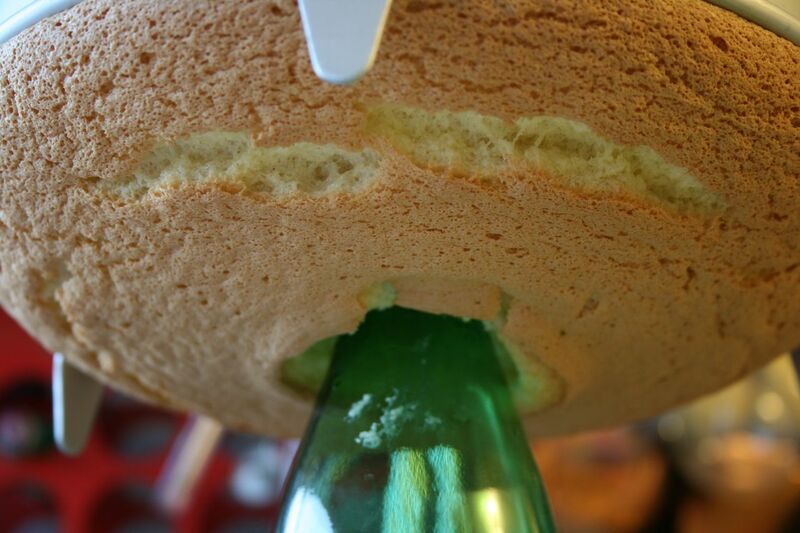 cake bible mentions something about oils and foaming of egg whites. don’t know about if coconut oil has any silica.